Search for the side effects of any/all psychiatric drugs (link will take you off-site). 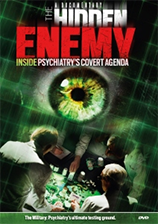 Psychiatry’s abusive practices. Commitment laws are a deprivation of human and constitutional rights inflicted on a person said to be mentally ill. Electroshock destroys minds and kills.